After weeks of dire warnings about Oklahoma’s budget situation, legislative leaders say they’re hopeful that a package of bills moving through the Legislature over the next few days will avert draconian cuts to education, health and other core programs. An Oklahoma Watch review of major revenue-raising bills remaining alive as of Friday suggests the budget gap already has been narrowed by nearly $500 million, assuming all of them are signed into law. Many of these measures already have passed both the House and Senate, while others need to clear more legislative hurdles in the session’s final days. Legislative leaders must unveil their final budget plans quickly because this year’s session will come to a close next Friday, unless a concurrent special session is called. Many budget-watchers had feared the revenue situation would bring severe cuts, including slashing Medicaid provider reimbursement rates by 25 percent. Public health officials are warning that a 25-percent cut would jeopardize many nursing homes and other health services. But House Speaker Rep. Jeff Hickman, R-Fairview, said Friday that lawmakers are moving “in the right direction” toward crafting a balanced budget that would avoid massive reductions. “I believe we are able to deal with the challenges we have and present a budget for the state that truly reflects the priorities of Oklahomans,” he said. The renewed optimism comes after a long and contentious week at the Capitol that saw movement on several revenue-raising measures that will reduce the severity of budget cuts. A few revenue proposals, most notably a $1.50-a-pack cigarette tax increase, fell victim to political posturing, partisan bickering and intense special-interest lobbying. The roster of surviving measures and their impact on next year’s budget includes removal of the “double deduction” of state income tax payments ($97 million), rolling over money in the state’s cash flow reserve fund ($125 million) and capping the tax credit for at-risk oil and gas wells ($120 million). Other survivors include bills giving the Oklahoma Tax Commission enhanced tax collection powers ($50 million), capping the Investment/New Jobs tax credit ($14 million), cutting the Earned Income Tax Credit ($29 million), creating a one-time fee for new license plates ($15 million), limiting the time limit for filing amended sales and use tax claims ($10 million) and cutting the tax credit for clean-burning motor fuel ($6 million). Hickman said it is unlikely the Legislature will draft any new tax-raising bills beyond those already making progress. Legislative rules bar lawmakers from considering new tax increases during the final week of the session. But he said other budget measures that will be unveiled in coming days, such as authorizing the sale of revenue bonds and tapping the state’s rainy-day fund, would further bridge the shortfall. If all these go through, the final shortfall might be reduced to to around $200 million to $300 million, according to Hickman and Rep. Earl Sears, R-Bartlesville, who chairs the House Appropriations and Budget Committee. House leaders have said their budget plans should give the Oklahoma Health Care Authority enough money to avoid the proposed 25 percent provider cuts that are still on its agenda. That’s not to say, however, that government services won’t see cuts. Budget reductions to many state agencies are still expected to be part of the proposals that the House and Senate must pass before the session ends. It remains unclear how deep the reductions will be. But it appears certain that they won’t be the whopping 18 percent cuts that the Oklahoma Policy Institute said would be needed if the $1.3 billion shortfall remained. “The eventual budget outcome, assuming we end up with a budget agreement, is likely to be considerably better than most people had expected or are expecting right now,” said OK Policy Executive Director David Blatt, whose nonprofit group closely tracks budget developments. Still, any reductions will further strain state agencies that are still struggling to absorb the impact of past cuts. In January, agencies were forced to implement a 3 percent cut to their annual budget. An additional cut of 4 percentage points was implemented in March, requiring agencies to cut a total of 7 percent from their annual budget with four months left in the fiscal year. Sen. John Sparks, D-Norman, said any additional cuts in fiscal year 2017 would be difficult to absorb. “When you can’t already keep your schools open five days a week, what else do you need to see to know we are failing in our role of running government?” he said. Senate President Pro Tem Brian Bingman, R- Sapulpa, acknowledged that reductions remain inevitable. He said his goal is to protect education and some other core programs as much as possible. The Legislature could have narrowed the budget gap even more had it passed the cigarette tax increase, a proposal that lawmakers concede is now dead unless a special session is called. The tax would have generated an estimated $158 million during the 10 months it would have been in effect during fiscal year 2017. House Republicans and Democrats deadlocked over the proposal Wednesday. The 30-member Democratic bloc balked at supporting the tax hike unless Republicans agreed to pass a Medicaid expansion or rebalancing plan that would allow the state to receive hundreds of millions of federal health-care dollars. Meanwhile, other issues might further complicate the budget work in the coming week. They include the proposal to sell new revenue bonds to pay for road projects, which would free up money elsewhere in the state’s budget. 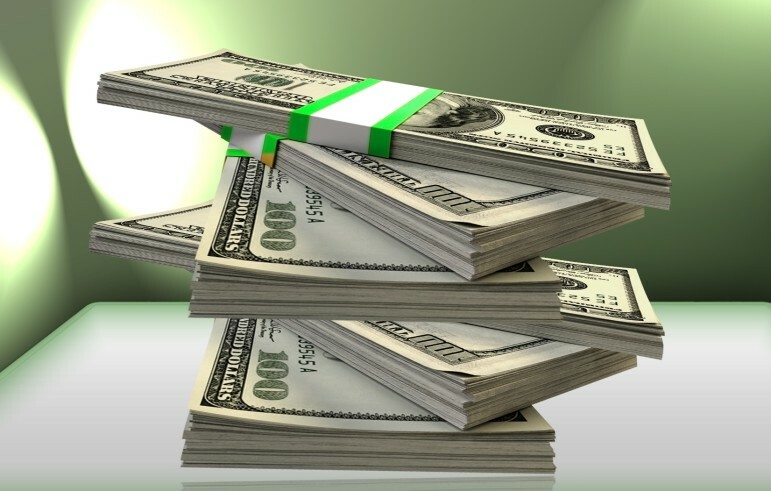 Senate leaders have said they want to limit the bonds to $150 million, far less than the $300 million House leaders said they were considering or the $500 million Gov. Mary Fallin proposed. Republicans are unlikely to get help from Democrats on the bond measure.